Many of us make a common mistake of comparing Ayurveda with modern medicine and during the debate, limit our understanding of Ayurveda. For one, it is not only about offering a cure, so there is no need to compare it to an allopathic medicine only. And, on the other side, it is nothing about an instant cure like an instant pain reliever, you may likely depend on a medicine to reduce the intense pain and not wait for Ayurveda to give you slow treatment. An important point of this whole discussion is to know that Ayurveda is a traditional science and should be regarded as such. It is more to do with concepts such as self-care, good health, and preventive care. Of course, it offers a cure and in this context, unlike a pain killer which is a slow poison for the human body, Ayurveda provides a cure to the pain slowly but naturally. It is not difficult to encapsulate Ayurveda in your routine and reap the benefits nature has bestowed on us. The only need is to be aware of it and then, try and practice it regularly and continuously in own lives. This is how you can prove that Ayurveda does deliver. These are few suggestions on how to make Ayurveda an important source for good health, both, physical and mental. We commonly associate Ayurveda with herbs. What are these herbs really and how do they benefit us? These herbs are not really anything bitter to be swallowed daily. They are some common kitchen ingredients like ginger, turmeric, cinnamon, and honey, for example. The only thing you need to do is-start consuming them raw and in greater proportion. Herbal textile is a good example here. These are organic clothes mixed with herb dyes and it helps by rubbing the herbs (benefits) on your skin. Turmeric is a natural antibacterial agent and if you are wearing a turmeric-dyed cloth, you are allowing its natural characteristics seep in, through the skin pores. In one way, you are keeping the infections at bay. Does practicing Yoga sound too much for you? Then, there is another way out and that is, not to do it extensively, only if you don’t wish to. Instead, try simple breathing techniques like doing a Surya Namaskar or Pranayam. It is important because Ayurveda encourages a blissful way of life, which means you need to be an early riser and need to go to the bed early. Also, it is important to relax physically and mentally both, and the mental relaxation or a restful sleep can be achieved by doing simple (5 minutes) Yoga exercises as well. For the physical bit, it is always recommended to go for a walk outside as it strengthens your heart. There is a scientific reason for it. It delivers more oxygen and nutrients to your body. No matter how hard we try, our body and our internal system are exposed to external environmental risks. Thus, it is important to do our bit by keeping ourselves free from oily and greasy and other harmful toxins. One approach is to flush out these toxins from the body on regular basis. And this can be only done by drinking lots of water. Only because it is so easily available to us does not mean we underrate its importance. Only pure water (and not the aerated drinks) is a dependable resource to remove body toxins, aid digestion, keep the body hydrated and heal the body without any side effects. These are some simple steps to begin incorporating Ayurveda in your life. 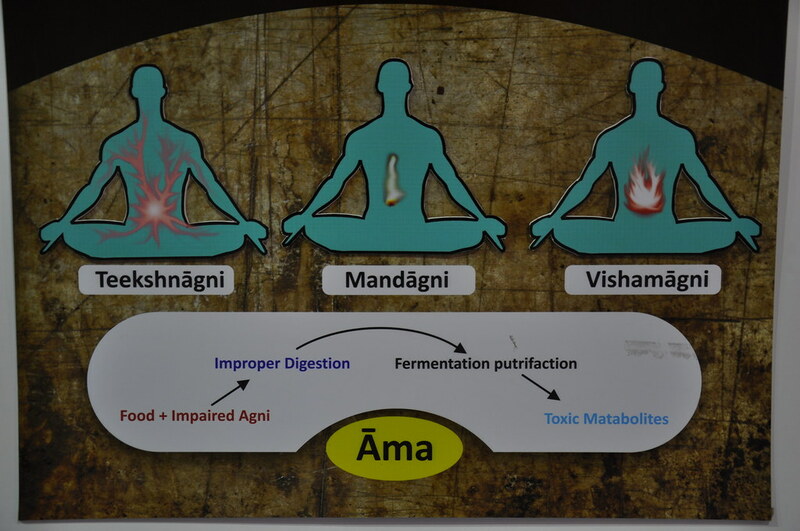 We will continue to discuss the various aspects of Ayurveda in detail in the time ahead.